Remember when I reviewed Lendperk's rental service and I got to try out the two beauties pictured above (green and striped)? Yes. Yes you do. Well, now you have a chance to try out Lendperk for yourself for an entire month! 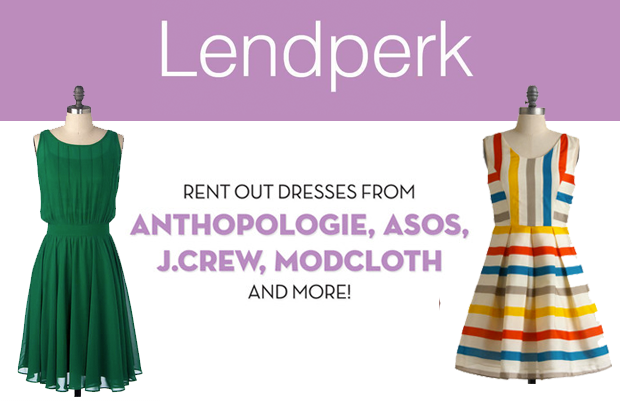 Lendperk is a dress rental service that you sign up for on a monthly basis. They offer a great selection from stores such as Modcloth, Anthropologie, ASOS, and BCBG. I was in love with the two dresses I picked out, and it was painful having to say goodbye to them, but I don't regret our time together. It was pretty much like a mutual break-up. Just sign up and enter below for your chance to surround yourself with dresses on dresses on dresses. The giveaway ends on 2/21 so get to entering today!